One of my favorite things to do during the Christmas season is to fill my home with Christmas-ey smells. I am a sucker for Christmas candles and I burn them almost non-stop through the months of November and December! As much as I love candles, though, there’s nothing more “authentic” smelling than stovetop potpourri. Have you ever used it before? 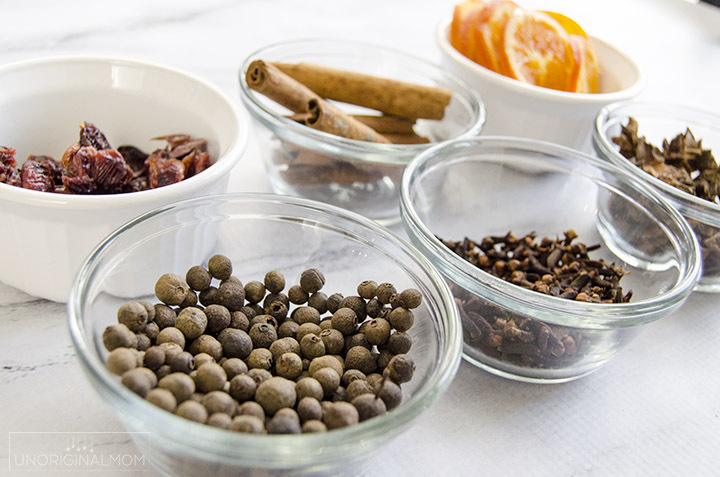 You can buy pre-made mixes or easily put together your own using some combination of things like cinammon sticks, cloves, nutmeg, allspice, rosemary, evergreen branches, cranberries, and lemons or oranges. You cover it with water and simmer it on your stove on low and it makes your whole house smell like Christmas! 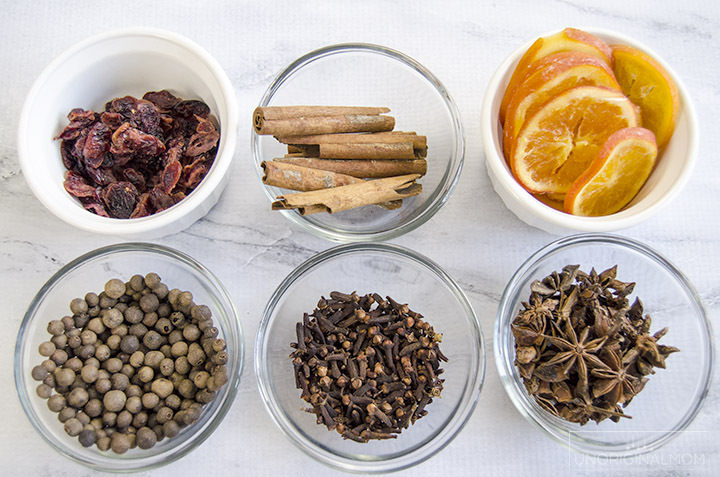 It’s fabulous for when you have a holiday get together, or just when you want your house to smell good. 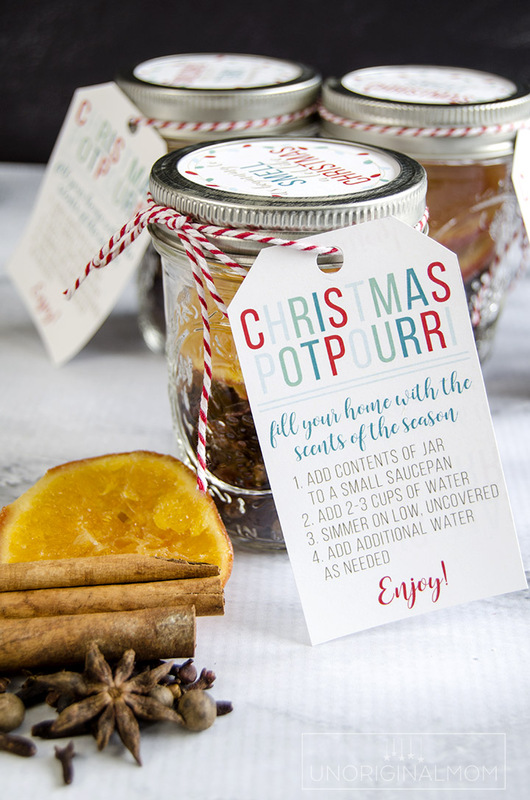 If you use a combination of dry ingredients, you can easily put together easy Christmas Potpourri gift jars to give to neighbors, friends, teachers, etc. They’re so easy, and will be much appreciated! And of course, I had to make some fun printables to go with them! I cut these by hand, but I also made them into cut files for my Silhouette Cameo, which will make them much easier to cut in bulk. 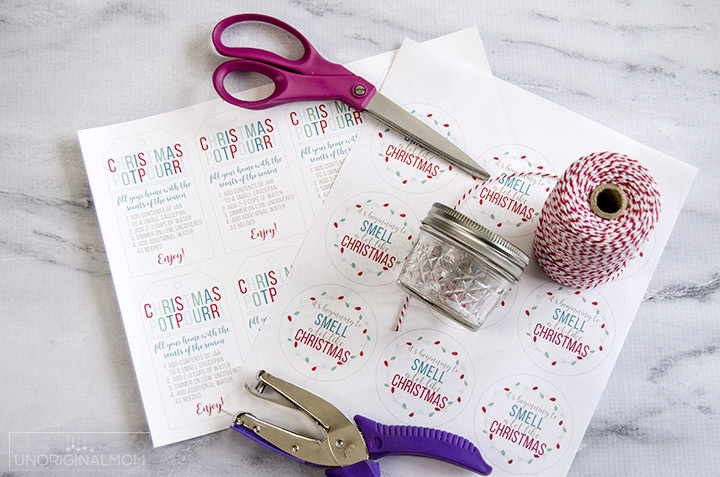 There’s an “it’s beginning to smell a lot like Christmas” circle tag sized to fit inside a mason jar lid – or you could just use circles of scrapbook paper or fabric to decorate the jar. 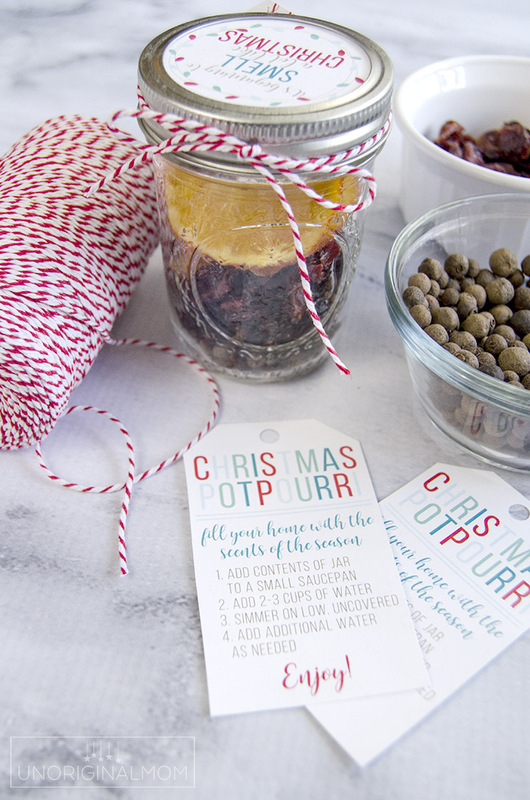 I also made a tag with instructions on it and tied it onto my jars with baker’s twine. I probably spent about $25 on supplies (though I had the jars already), and it was enough to make about 2 dozen jars! Talk about an affordable gift idea. And they’re so pretty! 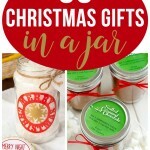 These Christmas potpourri gift jars are a really simple and inexpensive handmade gift idea your friends and neighbors are sure to love! 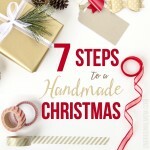 And if you’re planning to make more handmade Christmas gifts this year, you’ll definitely want to check out 7 Steps to a Handmade Christmas – my step-by-step guide to creating handmade gifts for everyone on your gift list this year. 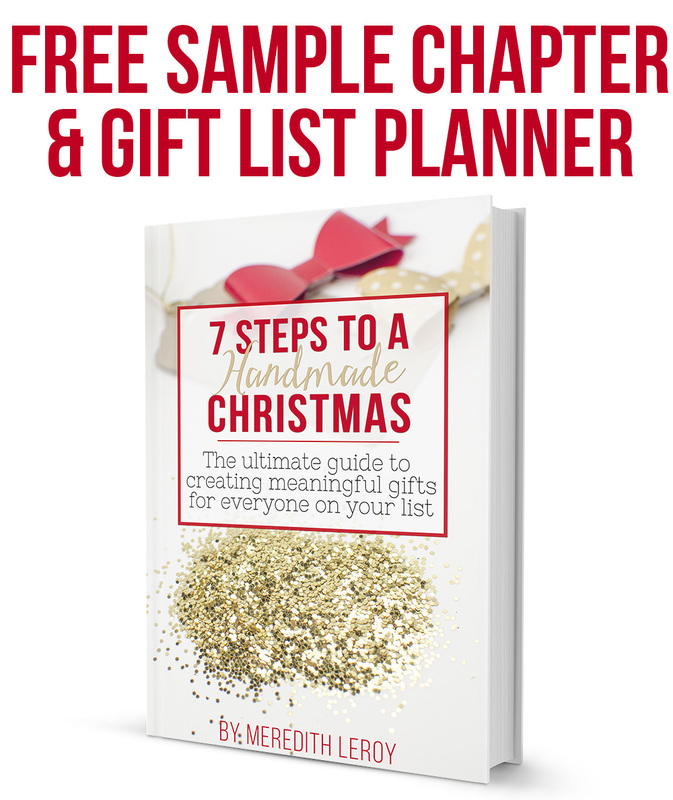 Looking for more handmade Christmas gift inspiration? 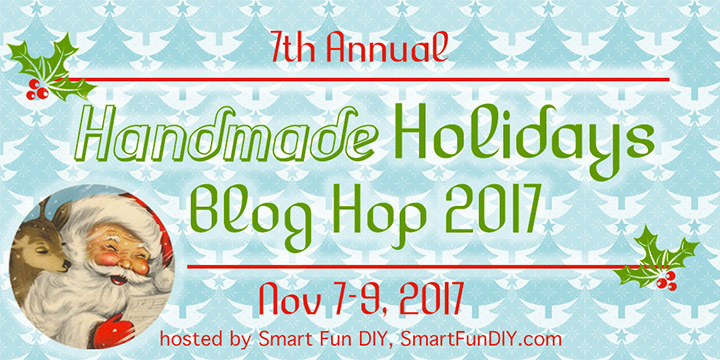 Browse through these fabulous projects from other bloggers participating in the Handmade for the Holidays Blog Hop! That’s not all…enter to win this terrific prize package, courtesy of these fabulous sponsors! 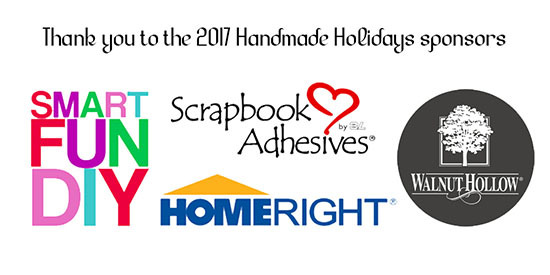 The fun doesn’t end here, though…there’s two more days of Handmade Holidays Inspiration! I love this! Thanks for the recipe and the printables! 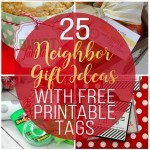 What a great idea for everyone on our lists!! Thanks for sharing. So cute! Mmmm–I can imagine how good this smells. 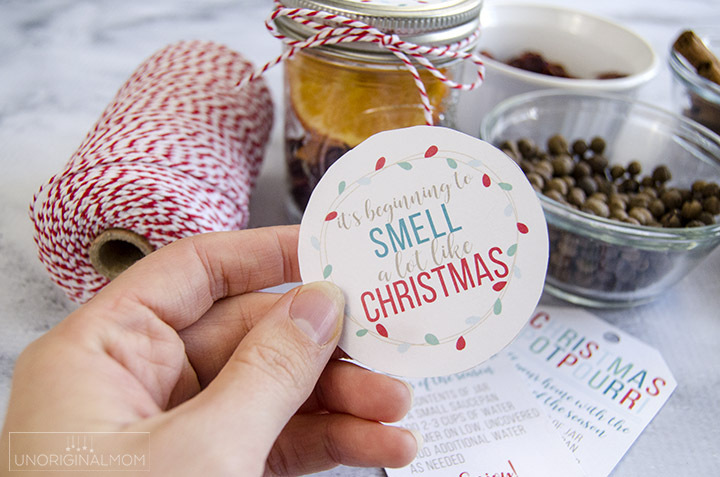 Yes…putting them together they smelled so good, I couldn’t wait to put one on my stove top! This is such a fun gift! I especially love the way you packaged it with all the bright cheery colors on the labels and gift tags. 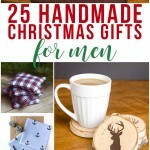 Such a great gift idea! Perfect as teacher gifts. Pinned. Visiting from Handmade Holidays. I make these all the time and people love them. Your gift tags are much more fun and creative. Thanks Patti! I remember my mom getting jars like this as gifts from friends when we were little and I *loved* when she simmered them. They’re definitely a timeless crowd-pleaser of a gift! 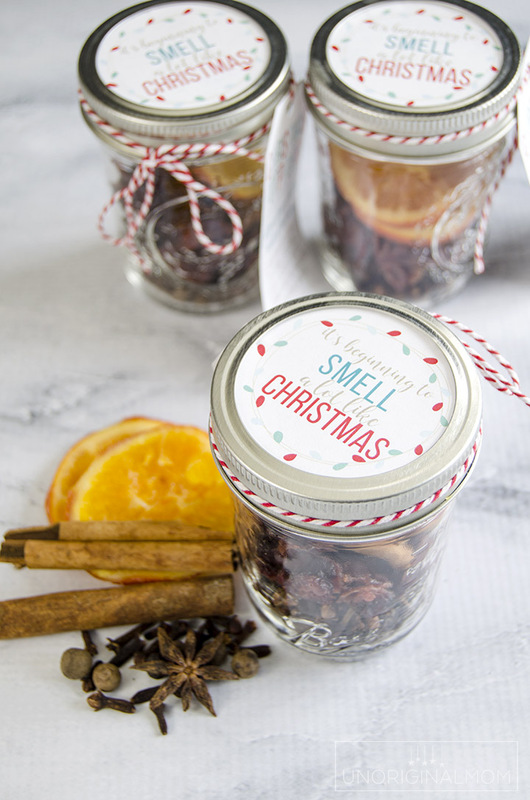 What a great idea to give Christmas potpourri! I love how it smells, but I rarely have time to make it. And your tags add a beautiful touch. I love this idea! I can smell it already. Oooh I can smell that potpourri now. Love the tags too. Adorable gift idea, I love it! And I’m sure it smells amazing! I love this so much!! Can you share how much of each ingredient you added? or bought for 12 jars? Thanks Sara! Honestly, I have no idea, haha. I bought the bags I linked to in the post and still had plenty leftover of everything except the cinnamon sticks. I think I made about 18-20 jars.